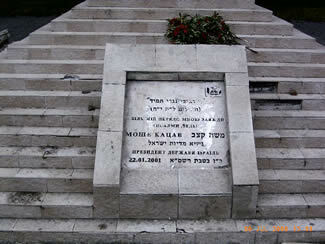 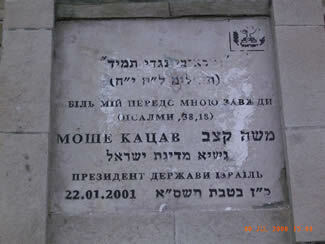 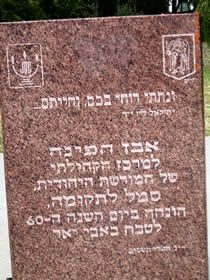 "Corner stone of the Jewish heritage community center. 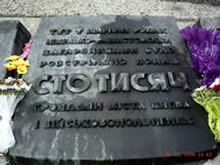 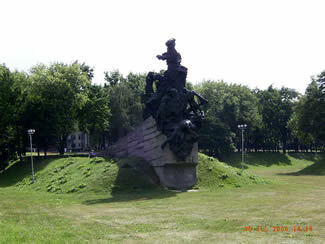 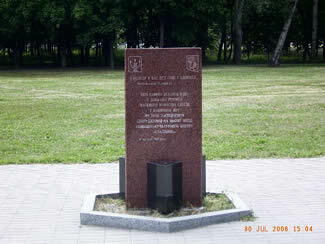 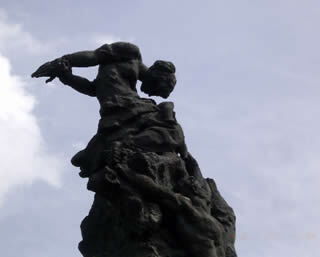 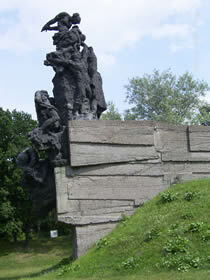 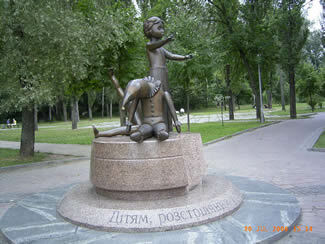 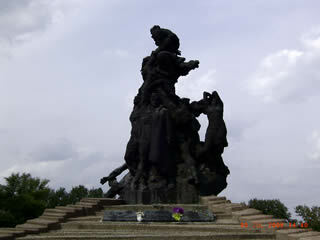 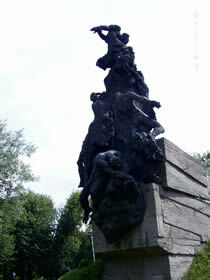 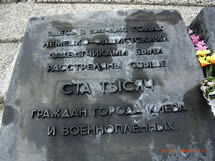 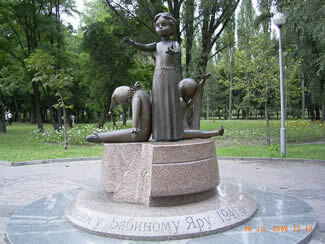 of the slaughter of Babi Yar. 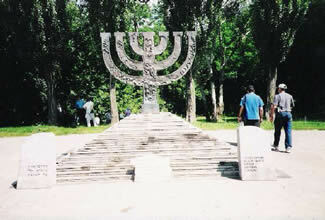 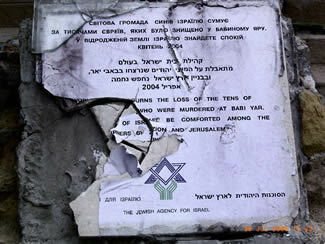 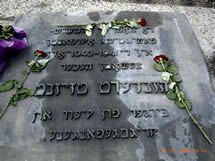 13 Tishrei 2002"